We are making amazing strides with Make San Antonio. We’ve been chatting with community members, and meeting various leaders who support our plans to build a makerspace in San Antonio. We thank you for venturing along with us as we take the appropriate steps needed to get this idea from a dream to a reality. We have over 100 contacts on our e-mail list and we’re generating buzz on social media every day. If you haven’t signed up on our e-mail list, or would like to follow us on social media, please visit makesanantonio.com. We kicked off our first Make San Antonio survey on Reddit in October and have received several responses. If you’d like to participate, please find the survey here. On November 5, we pitched Make San Antonio during Café Commerce’s 1 Million Cups event and received some great feedback which we are currently implementing into our business pitch and model. We recently hosted our first event, Makevember, which was held on Saturday, November 22 at Lone Star Studio. Although this was our first event we had over 100 people attend Makevember and had plenty of surveys filled out, including several new email list signups. We’ve read through the surveys and the overall consensus was a desire for a larger event and more hands-on activities. We will put your suggestions into action for our next event and try our best to hit both points.What’s Next for Make San Antonio? We are actively seeking venues that could possibly house Make San Antonio. Our filtered list is any space between 5,000–10,000 sq./ft., but we will pursue any and all reasonable options. We are scheduling meetings with successful entrepreneurs and venture capitalists who can mentor us and help us refine our business pitch, provide advice from their own experience and help us refine our current business path. We are going to be pitching our business at several local events. As we’ve already pitched at Cafe Commerce’s 1 Million Cups event and received some amazing feedback we hope to replicate that in future pitches. We are starting to toss ideas around for some events in early 2015. As we are in the initial stages, thinking of possible participants, event locations and themes, any suggestions are appreciated. We are planning to kick off a membership crowd funding event in early 2015. We believe this will be the cornerstone that will allow Make San Antonio to receive full funding. We’re working to offer discounted membership rates for our initial contributors so keep an eye out for additional updates so you won’t miss out on some amazing deals. In the meantime, what can you do? Support us by following us on social media, and reading our e-newsletters. Chat with your friends about us, and ask us questions. Once again, we thank you for your support so early on in this venture. 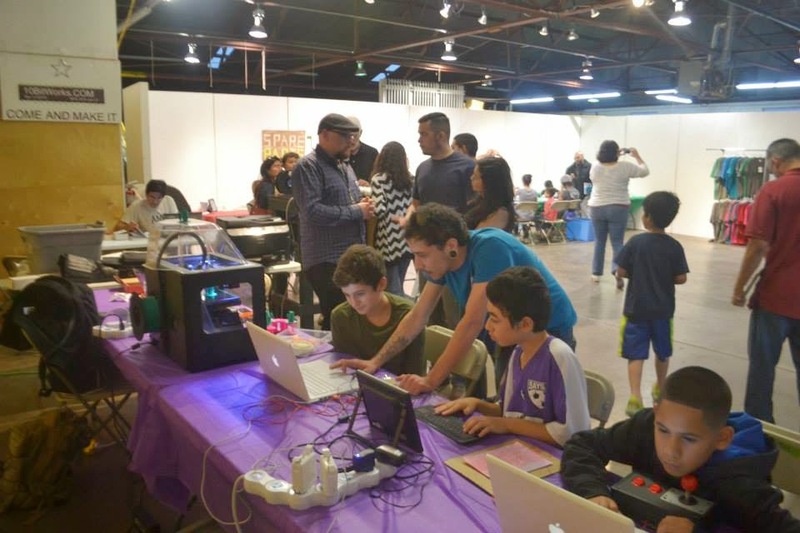 We value your support in us to create a makerspace in San Antonio. We’re on it! Go Team Go! Go Make San Antonio!